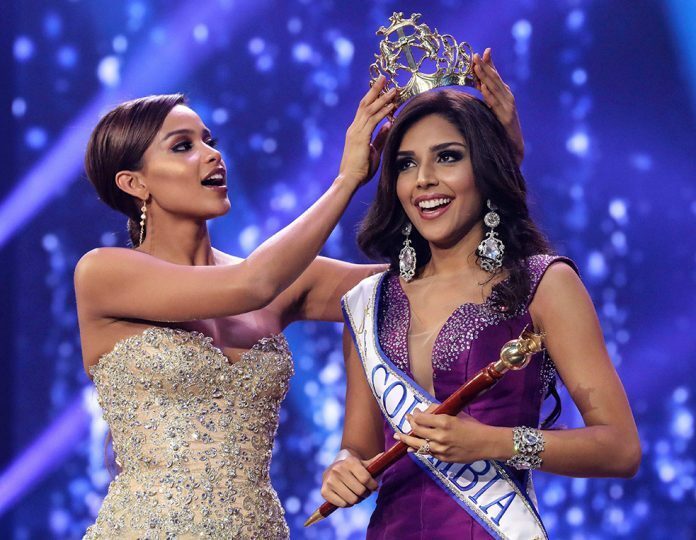 Laura González, the representative of Cartagena, was crowned the new Señorita Colombia on Monday, March 20. The 21-year-old, 177cm (5’9.6″) tall actress and model will now represent Colombia in the next edition of the Miss Universe pageant. She speaks Spanish, English and French. Vanessa Pulgarín of Antioquia was named Virreina, while Yenniffer Hernández of Santander finished as primera princesa (first princess). Vanessa Domínguez of Bogota (segunda princesa) and María Fernanda Betancur (tercera princesa) of Magdalena completed the Top 5 finalists. González got the highest scores in both swimwear (9.9) and evening wear (9.8) rounds.